The International Organization for Standardization’s ISO 9001:2015 standard provides assurance about the quality of a company’s products and services. As a Certified ISO 9001:2015 company, Knovos ensures customer satisfaction and regulatory compliance. A joint standard of the International Organization for Standardization (ISO) and the International Electrotechnical Commission (IEC), ISO/IEC 27001:2013 guarantees the confidentiality, integrity, and availability of data. By conforming to this standard, Knovos ensures the selection of adequate and proportionate information security management system (ISMS) architecture and controls to protect valuable information assets and increase customer confidence. Knovos is certified as a women- and minority-owned business by the Virginia Department of Small Business & Supplier Diversity. In New York, Knovos is certified by the Minority and Women-owned Business Enterprise (M/WBE) Certification Program to sell products and services to agencies throughout New York City. The US Pan Asian American Chamber of Commerce (USPAACC) is the largest nonprofit organization representing Pan Asian American and related groups in various sectors. Knovos is included in USPAACC’s Fast 100 Asian American Businesses Program, which recognizes and celebrates the achievements of Asian American–owned businesses. The National Institutes of Health Information Technology Acquisition and Assessment Center (NITAAC) is the designated federal executive agent authorized to administer Government-wide Acquisition Contracts (GWACs) for information technology. Knovos has a CIO-SP3 Small Business IT Services/Solutions contract that is valid through 2022. 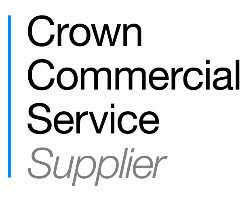 The Crown Commercial Service (CCS) provides commercial and procurement services to the UK public sector. By using CCS agreements, customers can buy commonly used goods and services quickly and cost-effectively while complying with EU and UK procurement regulations. Knovos is currently a supplier of services through CCS. 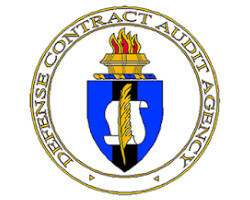 The Defense Contract Audit Agency (DCAA) provides audit and financial advisory services to the Department of Defense (DoD) and other federal entities responsible for acquisition and contract administration. In an effort to achieve greater financial transparency, Knovos has ensured that all of its accounting and billing systems are DCAA compliant.